Oaklands has a range of tools available to get to the bottom of any medical problem. 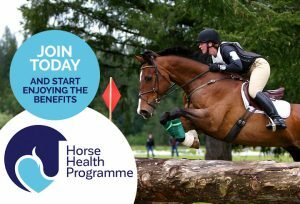 It’s always better to be proactive though – so don’t forget about regular health checks, vaccination and faecal egg counts; all of which are included in the Horse Health Programme. Faecal worm egg counts and targeted worming protocols. Respiratory assessments (including endoscopy, ultrasonography and tracheal and bronchial washes when required). Cardiac (heart) assessments-ECG and echocardiography. Abdominal ultrasonography (for further assessment of abdominal disease). Gastroscopy (to assess for stomach ulcers or other disease). Recurrent colic or weight loss work-ups. Dermatological assessments (for skin complaints). Ophthalmological assessments (for eye disease). Investigation of poor performance or respiratory noise, with standing and over ground endoscopy available. Neonatal (foal) and adult equine intensive care.